Dolores J. Fryer, 86, of Chester, went to be with her Lord and Savior, Wednesday, November 28, 2018, at the Good Samaritan Hospice Heritage Valley Beaver. Born, May 24, 1932, in East Liverpool, she was a daughter of the late Edward L. and Harriet B. Rolley Cubberley. She was preceded in death by her husband, Robert E. Fryer and by her son, Edward L. Fryer. Dolores was a 1950 graduate of East Liverpool High School, where she was the head majorette for the first all-girls school band. She was a member of the Westminster United Presbyterian Church in Chester, where she served as a deacon for many years and throughout the years she was very involved with the church. For many years Dolores and Bob owned several business' and later owned Fryer Oil Company. Dolores was known for her generosity, she lived for her family and simply adored her grandchildren and great-grandchildren. She was a member of the Eastern Stars and was an accomplished seamstress and she loved to dance. She taught all her family how to Jitterbug. 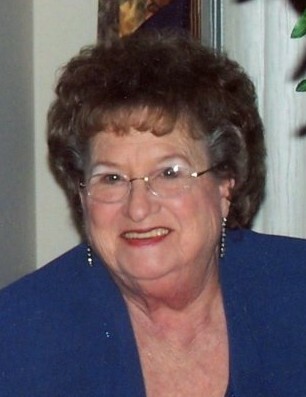 Dolores will be deeply missed by her son, Wayne D. Fryer (Toni) of Chester; daughters, Donna J. McCoy (Tim) of New Manchester, Bobbi J. Phillips (Denny) of Chester, Jodi L. Fryer-Jimenez (Mike) of East Liverpool. She will also be missed by her grandchildren, Michael (Sunny) McCoy, Matthew (Beth) McCoy, Andrew McCoy, Nicholas (Hannah) Fryer, Nathan Fryer and Natalea Jimenez; great-grandchildren, Jacob McCoy, Ty McCoy, Luke McCoy, Cole McCoy, Caleb McCoy and Elianna McCoy. Rev. Katrina Lewis will celebrate Dolores’s life Monday, December 3, 2018, at the Westminster Presbyterian Church in Chester, at 11:00 AM. Interment will follow at the New Cumberland Cemetery. Friends may visit with her family at the Arner Funeral Chapel, Sunday, December 2, 2018, from noon-2:00 PM and 4-6:00 PM. In lieu of flowers, memorial contributions can be made to the Westminster Presbyterian Church, 508 Indiana Ave, Chester, WV 26034.